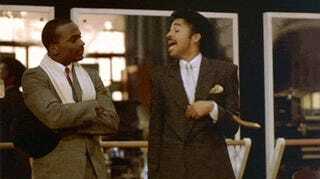 Why Don't Morris Day and the Time Get More Respect? There is a new Bruno Mars song (Fine. 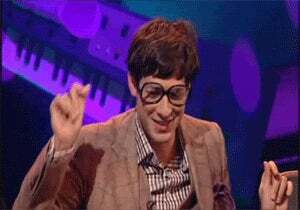 a Mark Ronson song) called “Uptown Funk” that is currently very popular. It reminds me of Morris Day and the Time. Do you know how hard it is to find decent original video of MDatT on YouTube? Very Hard. I shouldn’t have to depend on Jay and Silent Bob for access to Morris Day. Or Jimmy Kimmel trying to make Morris Day and the Haim happen. Mark Ronson gif (He was one of the best Buzzcocks guest team captains ever).